And thanks for participating to Armed Citizen, Leadchucker, Danno, Sailorcurt, and Mike Gallo. Sorry it took so long to get the results posted, but time was in short supply this fall. The combined Fall/Winter match will be posted shortly, and will be a Kalashnikov/SKS match. 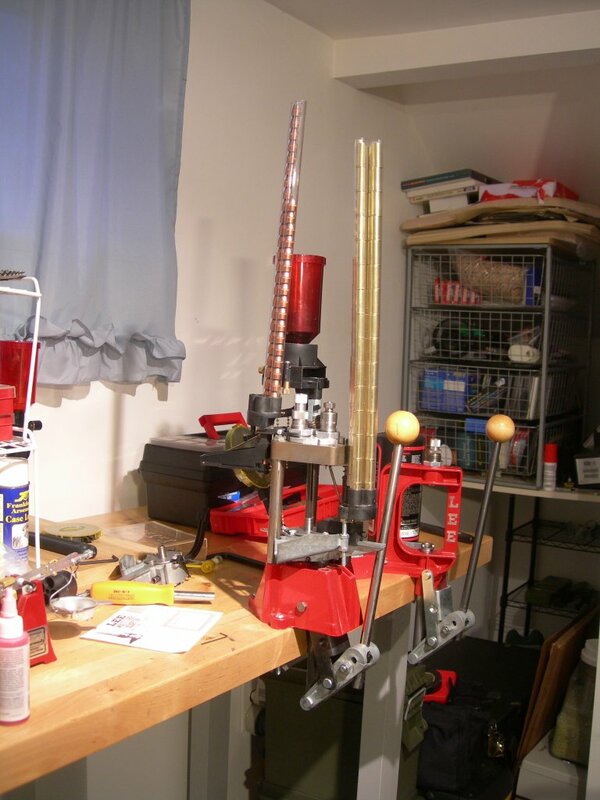 In addition, I’m going to bring the smallbore match in to 25 yards so that people may shoot it indoors. I am considering eliminating the scope class for this match since everyone seems to be shooting iron sights. UPDATE: Forgot AughtSix’s smallbore results, which made him the match winner. Pretty clearly the new Obama Adminstration will have to ban the menace that is the evil chainsaw lug. 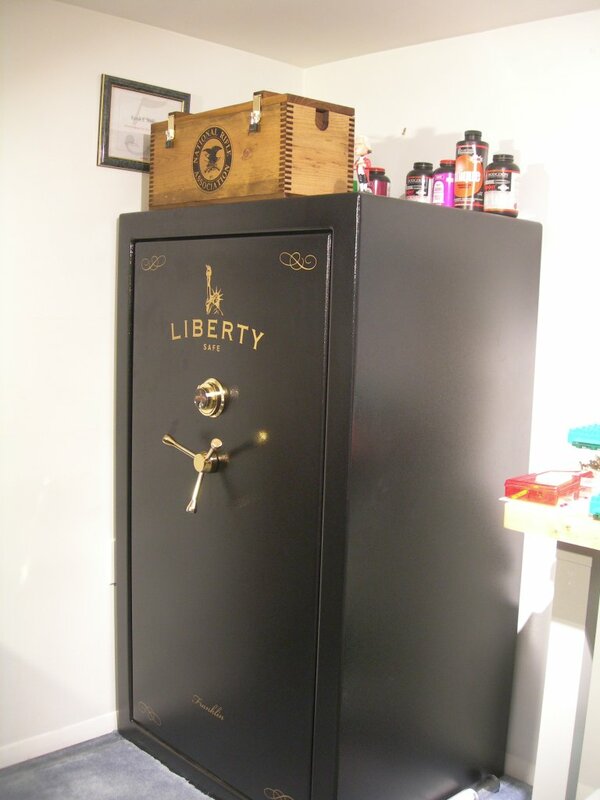 Finally got the safe delivered on Wednesday. 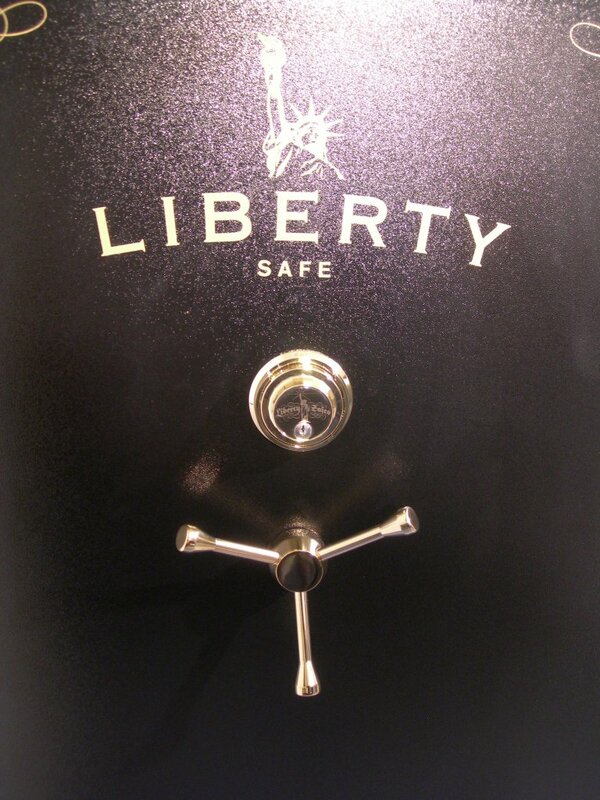 Bought it at The Sportsmen’s Center over in New Jersey, which is the closest Liberty Safe Dealer to my house. It’s a Franklin 35, with brass hardware. Picked it up for $1799, and they delivered it for $225. I also got the progressive press a reader sent me all set up and running, which I have nicknamed “The Contraption” because of its mechanical complexity. It took a good bit of work, and a few botched reloads to get everything set up correctly. It’s a Lee Pro 1000. It took a bit of tinkering and finagling to get it to work. Mainly the primer system didn’t want to feed reliably. That problem was solved by applying car wax to the feed ramp to slippery it up a bit. That seems to have done the trick. You still have to watch the tray like a hawk though, because if it’s not full, it won’t feed. Did a small run of about 50 .44 Special cases through, went to the range and shot them all, and will reload again. It seems to work fine once you get it set up, clean the feed ramp, and know what to watch out for. To Kim du Toit. Today is the day he retires from blogging. Waxman as Bat Boy? I can believe it. I’d agree there was a good chance casualties would have been reduced. Rush into a crowded room shooting, and there’s a big difference if the attacker has to worry about getting shot in the back. Not to mention about being perforated while he is changing magazines. I agree, but it’s really a statistics game. 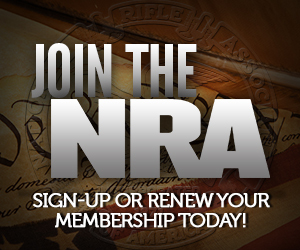 Given any number of armed people, a certain number of them, under fire, will turn out to not have what it takes. One of the advantages to having a society where people can choose to be armed is that it increases the chances that someone with the right mix of traits will rise to the occasion, with the tools at hand to accomplish what needs to be done. A mistake much of the left makes is assuming those we pay to be professional protectors are any better than the rest of us when real bullets start flying. They are subject to the same psychology as the rest of us, and the same statistical gamble applies — they will just have somewhat better odds, having either thought about life and death situations to begin with, or having a military background, as many in law enforcement do. But there’s plenty of people out there who have the mental and psychological capacity to come out on top in a firefight, even without extensive training. A smart society doesn’t restrict their ability to have vital tools at hand. The more armed people that are about, the greater the likelihood that one of them will have the psychological makeup to prevail. A smart society will want to make the greatest number of sheepdogs, with as few wolves and sheep as possible. There will always be wolves, and there will always be sheep, but as long as there are many sheepdogs, polite society can flourish in safety. Perhaps too much safety. … and I’m a brassaholic. Went to the range today to fire off some .44 Special. Notice a guy there doing some instructing, firing fresh boxes of .45ACP. Waited around until they finished up. The haul is 50 count of Federal .45ACP and 115 count of Remington .45ACP. Plus 114 count of NATO stamped 9mm. I don’t usually dig through the brass bucket for goodies, but when I know that the brass in question is only once fired, I couldn’t resist. At least I’m not scrounging scrap lead to smelt and cast into bullets yet. How Old Is This Ammo? Remember this from yesterday? Well, it turns out he’s an open carry activist in Delaware. So, after George W. Bush, a strong defender of the Second Amendment, took office, Mr. Collier wrote to the president seeking a pardon, saying he wanted to go hunting with his kids. He explained that he accidentally killed the eagles while trying to poison coyotes that were attacking wild turkeys and deer on property he farms. Sounds like he set out poison for coyotes, and ended up poisoning a bald eagle, and was charged under the Endangered Species Act. Yeah, that guy is a time bomb waiting to go off, let me tell you. I would support a fair law that barred violent offenders from possessing guns, but the law we have now is not fair, nor does it only target violent offenders. This is what the City of Philadelphia does to criminals who shoot at police officers. No amount of new laws are going to help if the City keeps insisting on catch and release as a policy.